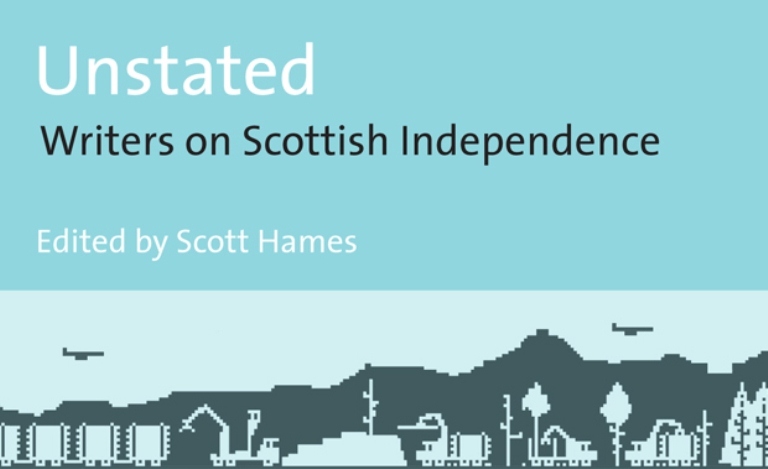 A new book by University of Stirling English Studies lecturer, Dr Scott Hames, brings together some of Scotland’s most talented and celebrated writers, for a no-holds-barred discussion of Scottish independence. The book, Unstated: Writers on Scottish Independence, maps out a diverse range of views from 27 renowned Scottish writers, including Alasdair Gray, Janice Galloway, James Kelman, Denise Mina, James Robertson and Stirling alumnus Alan Bissett. It also includes an essay by poet and University of Stirling Chair in Creative Writing, Kathleen Jamie. Dr Hames, who is an expert on Scottish literary nationalism, was inspired mainly by curiosity to write the book, having wondered what contemporary writers would say if they were provided with an unrestrictive platform for expressing their views on Scottish independence - without fear of being shoehorned into pre-existing agendas. He says the writers were invited to disregard the various ways in which the official debate is being “managed, nudged and narrowed” and to reflect on their own hopes and worries, on their own terms. Dr Hames also feels the book will present readers with an alternative discussion to the ‘official debate’ controlled by politicians. He says: “The referendum debate is still bogged down in ‘process’ issues and legalistic what-ifs; this book is a reminder of what is at stake beyond treaties, institutions and flags. He adds: “I’m very curious to see which essays generate a reaction. Some of these writers are household names, even icons, so people will take note of what they say because of who they are. The book, which is published by Word Power Books, will be launched in Edinburgh on Monday 17 December - more details here. Click here for more about Stirling’s M.Litt in Modern Scottish Writing programme, on which both Dr Scott Hames and Professor Kathleen Jamie teach, alongside Dr Suzanne Gilbert.